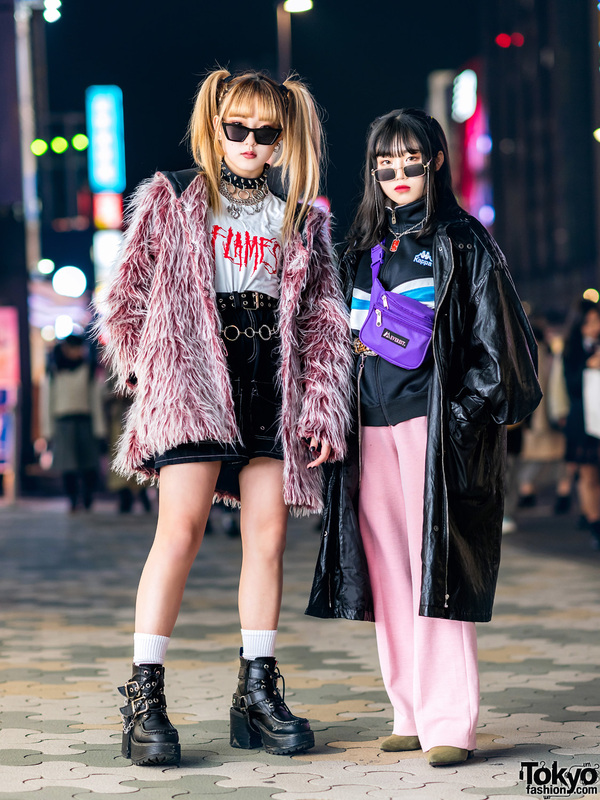 Look who we found in Harajuku – it’s indie Japanese fashion designer Kumamiki! Kuma is always fun and she always dresses in her own unique kawaii style. We ran into Kuma during the latest Harajuku Fashion Walk in Tokyo (more on that later). 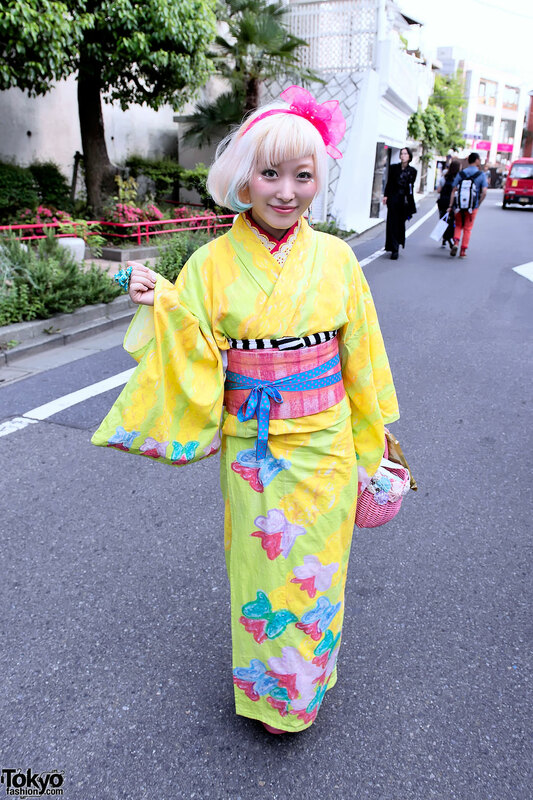 Kumamiki is wearing a cute and color kimono/yukata that she designed herself. The kimono is part of a new collection of kawaii kimono that she just started selling on her online store. 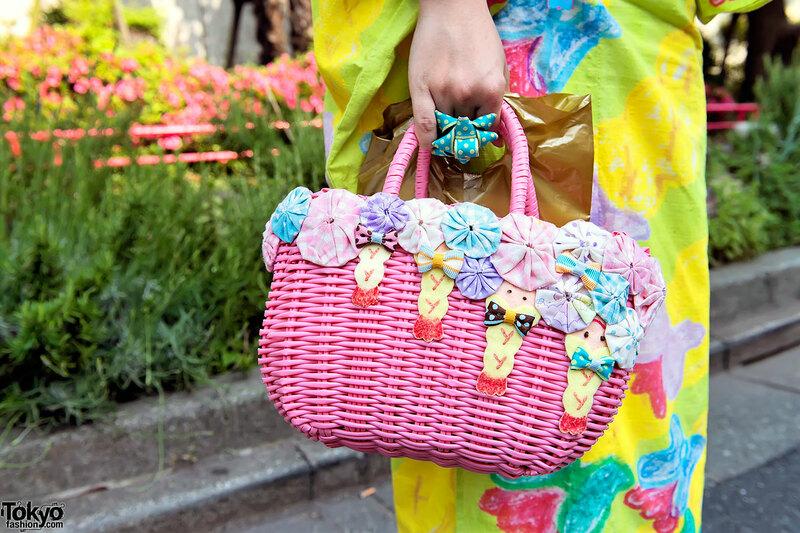 In addition, Kuma is carrying a cute Party Baby basket decorated with her trademark whimsical shrimp. For more info on Kumamiki, check out her official website or follow her on Twitter. Also, you can watch our Kumamiki documentary movie on YouTube. I am in love with that print. Crayon butterflies! Love the vibrant colour and amazing prints. Also love that your jewellery compliments your outfit! Oh my gosh! She’s so cute! The bright colors of her Kimono brings Summer to chilly New York City! :) The basket is very creative and cute. Looks like her personality matches her fashion! I want it so badly! Cutest Kimono ever!